One of the first celebrity photographers, David Bailey socialized with many of the cultural icons of the 60s - he lived with Mick Jagger, married the legendary French film actress Catherine Deneuve and had relationships with the models Jean Shrimpton and Penelope Tree. Along with Brian Duffy and Terence Donovan, he was one of the 'Terrible Trio' - self-taught East End boys who rebelled against the precious style of fashion portraiture as practiced by society photographers like Cecil Beaton and Norman Parkinson. His own fame was confirmed when director Michelangelo Antonioni used him as inspiration for the character of fast-living photographer Thomas Hemmings in cult film 'Blow-Up' (1966). Outside the world of fashion photography, Bailey has pursued numerous personal and commercial projects; documenting the streetscapes of London, photographing the people and places of Havana, Cuba, and producing an intimate series of portraits of model Catherine Bailey, his current wife. He has also created record-sleeve art, feature films, documentaries and around 500 commercials. The vigour and variety of his work has made him the subject of numerous exhibitions, including a major traveling show that opened at the Barbican, London, in 1999 entitled 'The Birth of Cool'. 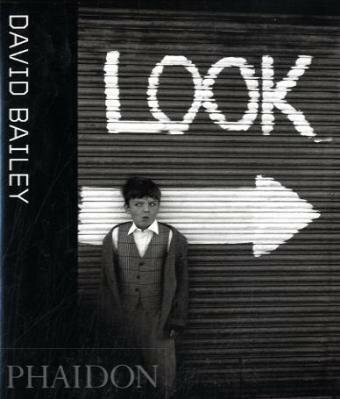 This handsome monograph provides an overview of Bailey's career, including works from key monographs such as his debut 'Box of Pin-Ups' (1964) and the controversial series 'The Lady is a Tramp' (1995). The book, on a photographer whose reputation only continues to grow, will appeal to all photography enthusiasts and students, and to anyone with an interest in popular culture of the 1960s onwards.